Based upon their photosynthetic nature and the presence of a unique light-harvesting antenna structure, the chlorosome, the photosynthetic green bacteria are defined as a distinctive group in the Bacteria. However, members of the two taxa that comprise this group, the green sulfur bacteria (Chlorobi) and the filamentous anoxygenic phototrophic bacteria (“Chloroflexales”), are otherwise quite different, both physiologically and phylogenetically. 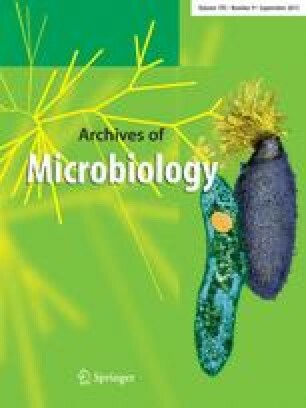 This review summarizes how genome sequence information facilitated studies of the biosynthesis and function of the photosynthetic apparatus and the oxidation of inorganic sulfur compounds in two model organisms that represent these taxa, Chlorobium tepidum and Chloroflexus aurantiacus. The genes involved in bacteriochlorophyll (BChl) c and carotenoid biosynthesis in these two organisms were identified by sequence homology with known BChl a and carotenoid biosynthesis enzymes, gene cluster analysis in Cfx. aurantiacus, and gene inactivation studies in Chl. tepidum. Based on these results, BChl a and BChl c biosynthesis is similar in the two organisms, whereas carotenoid biosynthesis differs significantly. In agreement with its facultative anaerobic nature, Cfx. aurantiacus in some cases apparently produces structurally different enzymes for heme and BChl biosynthesis, in which one enzyme functions under anoxic conditions and the other performs the same reaction under oxic conditions. The Chl. tepidum mutants produced with modified BChl c and carotenoid species also allow the functions of these pigments to be studied in vivo. Research from our laboratory was supported by grant DE-FG02-94ER20137 from the United States Department of Energy to D.A.B.